Enough storage to replace your need for a closet. 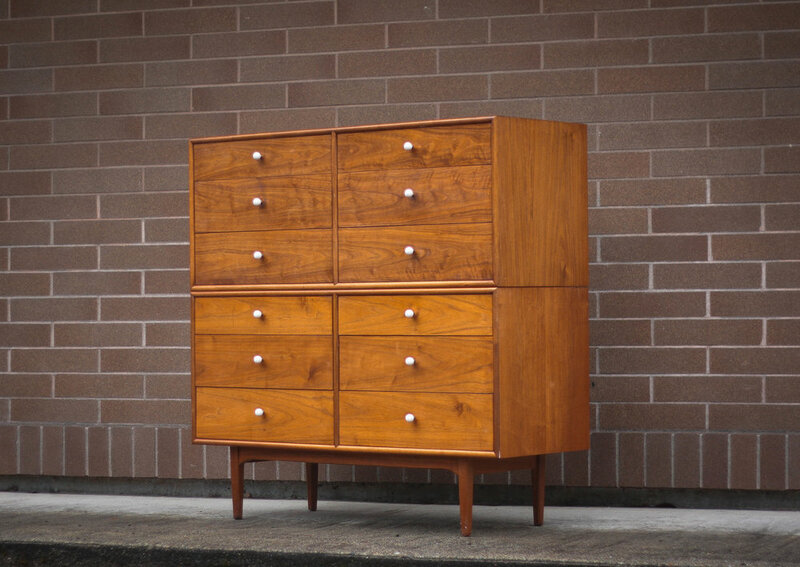 This 12 drawer Drexel Declaration system will be the belle of the ball, or at least you bedroom. 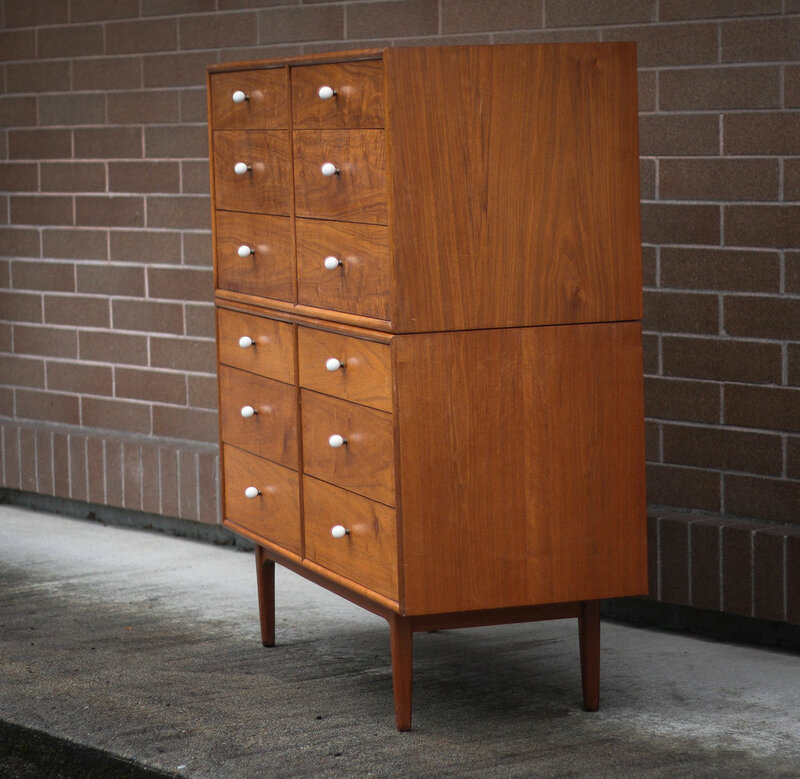 The perfect option for those without a lot of floor space to commit to multiple dressers. 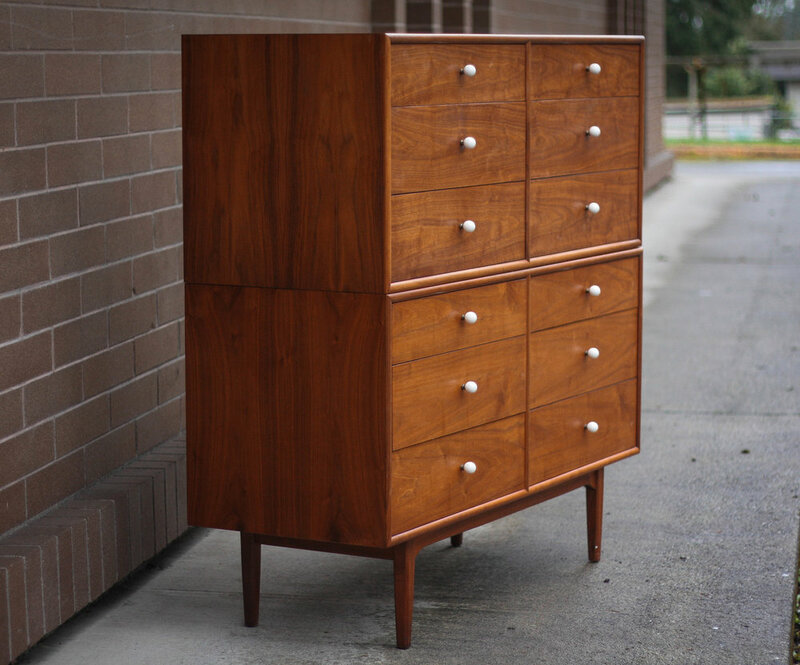 If you felt so inclined, you could always remove the top piece, add walnut tapered legs to it for around $50, and have a his/hers dresser combo. Condition: As with any piece there are small marks and signs of use, but as you will note in the photos it shows very nicely and there are no overwhelming or glaring issues. Very good vintage condition and definitely does not warrant any restoration work.